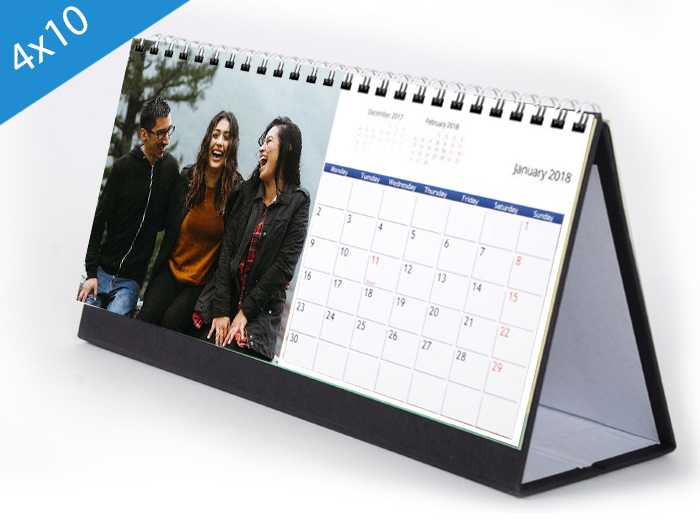 Relive your best memories every day of the year with a personalised desk calendar. 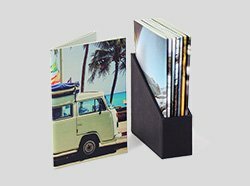 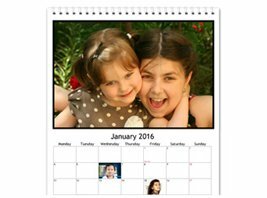 Choose 12 of your favourite photos and make your own desk calendar online in minutes. 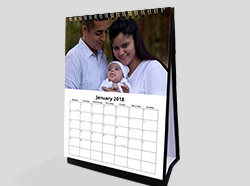 Select a size and desk calendar design best suited for your home or office. 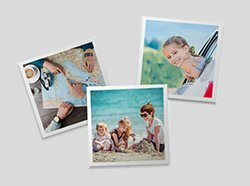 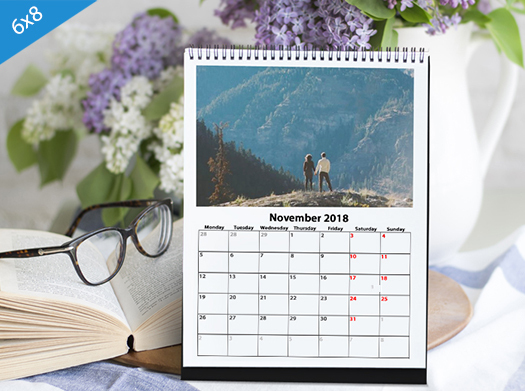 Remember special dates such as birthdays & anniversaries by adding a unique photo & message to the dates. 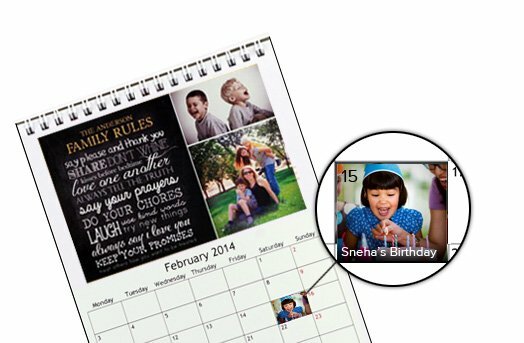 Desk calendar is great for gifting to family, friends & colleagues. 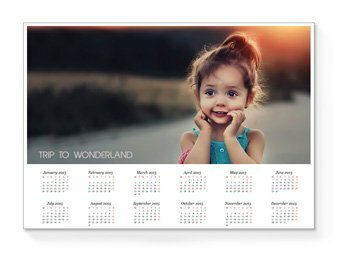 You can design a calendar starting from any month. 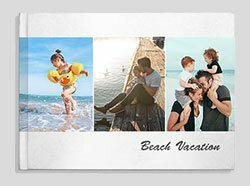 All you need is a minimum of 13 photos to create your own personalized calendar Enjoy your personalized calendar all year round. 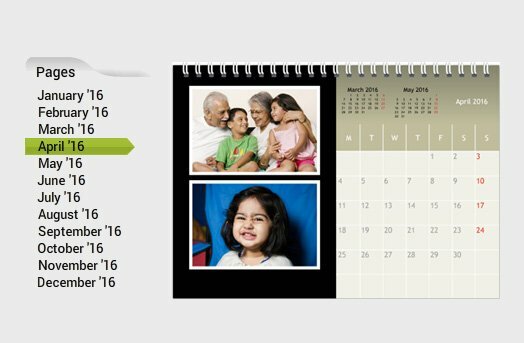 Add reminders and notes for different days of the year, to keep track of your friends and family's birthdays. 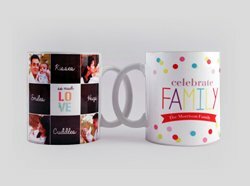 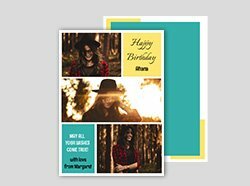 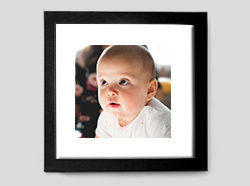 Use the photo of an event or person to mark their special days.